Here at The Christmas Cart we love to share the fun and joy of Christmas. Our Christmas Glitter Fairies and Elves are passionate about helping our customers create the perfect Christmas decoration or Christmas gift, with a special glittery personal touch. It all began in 2008, when Deborah Quinn and Kym Aldred seized an opportunity to open a personalised Christmas decoration pop-up shop to compliment Milestones 2 Memories, a business they had established some years earlier. As two mums who love Christmas and enjoy nothing better than sharing the festive spirit, this was an opportunity they couldn’t turn down. 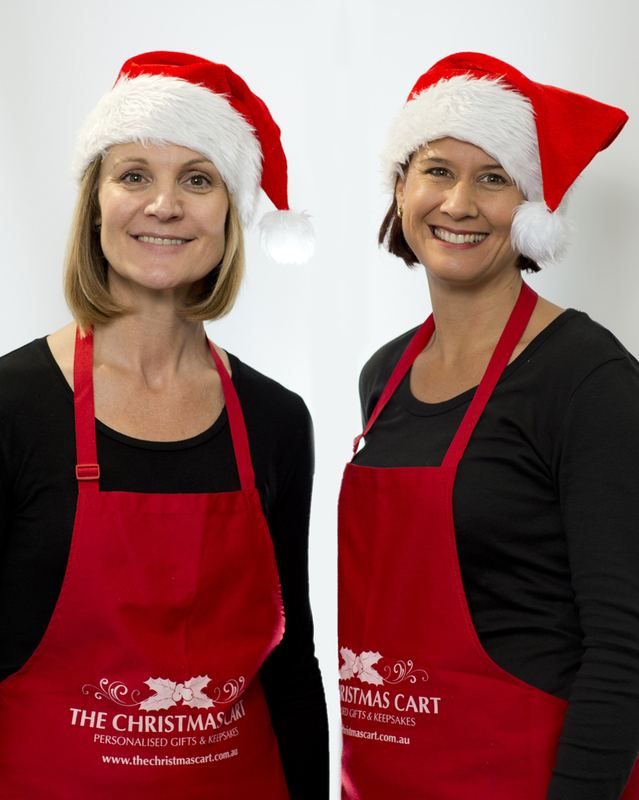 So Deb and Kym came together, utilising their respective skills as a marketer and designer, and this is where The Christmas Cart all began. What started as just a bit of fun “on the side” for the pair to enjoy and share their love of Christmas, soon grew into a blossoming business providing personalised baubles and many other Christmas keepsakes at affordable prices. The number of retail outlets has grown each year and now The Christmas Cart and Milestones 2 Memories combined have over 20 pop-up shops throughout the eastern states of Australia that open from 4-6 weeks depending on the location. In 2010 we launched our website to make it possible for people from all over the world to order from our beautiful range of Christmas baubles, gifts and decorations. Our personalised Christmas baubles look perfect in every unique location from a chateaux in France, a farmhouse in New Zealand to an apartment in New York, not to mention a warm and loving family home anywhere in Australia . Getting to know our customers is one of our favourite aspects of being in business, and so in 2011 we created our Facebook page The Christmas Cart . We now have over 25,000 friends who share their lives and love of family and Christmas with us. Our Facebook page is a mixing pot of all things festive, funny and heartfelt. We offer lots of Christmas decorating tips, inspirational stories and regularly post our favourite recipes, because let’s face it: one of the best things about Christmas is all of the food! We also love to share what is going on in our lives with our customers through stories and photos that make us all smile, and of course there are regular offers and competitions for our friends. So that is a bit about us, but now we would love to hear a bit about you, so please stop by our Facebook page, pop in to one of our shops at Christmas time, drop us a line via info@thechristmascart.com.au or simply call us on 1300 72 47 10. We would love to help you share the spirit of Christmas in your own unique way. Stores open in November and December. Order online all year round. Find inspiration for decorating and what to write on a bauble. We offer discounts for orders over 50.